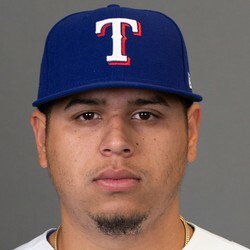 Ariel Jurado allowed six runs on nine hits with a walk and three strikeouts over six innings against the Angels Thursday. Jurado has now allowed six runs in back-to-back starts. The opponents were solid (Angels and Yankees), but that doesn't make the results any easier to swallow. He was decent in his first three starts of the season before his rough two-start stretch, but he now sits with an ERA and WHIP of 6.41 and 1.46 over 26 2/3 innings.